The race is on! Consumer demand has fundamentally changed the way we shop, assess value, and evaluate the return on our individual time. Why would anyone go to a movie rental store, when you can rent or stream a movie with a few clicks of the remote? When is the last time you’ve even seen a movie rental store? Innovations that support speed and convenience continue to render traditional consumer experiences obsolete. Time is money, and as such, speed creates a value network by giving consumers more time back in their day. In order to stay relevant in the new era of sales, brands must consider how speed plays a role in their production and supply chain. So, how can brands bring value to consumers by increasing speed and enhancing efficiencies. The answer lies in today’s digital technologies. The age-old sales adage goes, “Do you want price, service, or speed? I can give you two but not all three.” Consumers don’t believe you. They will always want the best price and expect the best service. Increasingly the expectation is that you can produce and deliver faster than anyone else in your industry as well. Leveraging the power of digital print production can streamline workflows and improve your brand’s production capacity through automation and real-time performance monitoring. Embedded digital technologies, such as track-and-trace, can also help increase efficiencies in the supply chain by reducing costs associated with theft, product damage, and brand protection from the production line to the end consumer. Made possible by automated workflows and technologies, web-to-print is quickly disrupting the analog processing methods of giant industries, including film and commercial print. The latest market turned upside down by this phenomenon is packaging. As shortened product lifecycles drive down the timelines for product development, brands need quick-turn packaging solutions that can keep up. The rise of digital print technology allows brands to meet these deadline-driven expectations without forcing brands to commit to large order quantities, sacrifice packaging quality, or break the bank. Due to the on-demand nature of digital print, we now have the ability to produce fast-cycle prototypes. Digital production equipment can produce full-scale proof-of-concepts that reflect final product quality with 100% accuracy. 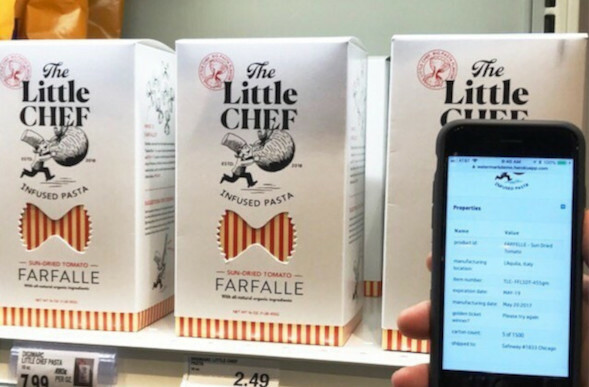 This allows brands of all sizes to market test and compare packaging options, in order to determine which will better attract consumers and boost sales. At The BoxMaker, we understand the market’s demand for speed and invest to remain at the forefront of digital print technology for the packaging industry. In 2015, we launched Fantastapack — a highly innovative web-to-print eCommerce website for digitally printed boxes, labels, and retail displays. As a part of our commitment to innovation, we recently launched a Rush Production offering on Fantastapack — decreasing manufacturing lead time and increasing production speeds when time is of the essence for customers. The race is on! If you’re asking, “what race?” then you’ve already lost. To remain competitive in today’s marketplace, The BoxMaker works diligently to enhance software workflows and make internal improvements to cut waste, reduce steps, simplify, and create value for our clients. In the past year, we rolled out some fantastic innovations, invested heavily in digital, and plan to up the ante for today and beyond. Whether you’re on a tight deadline or looking to increase efficiencies, we can help you achieve better speed-to-market with our digital print solutions. Don’t hesitate to reach out to our team of experienced and knowledgeable Packaging Advisors to find out how we can add value to your brand.